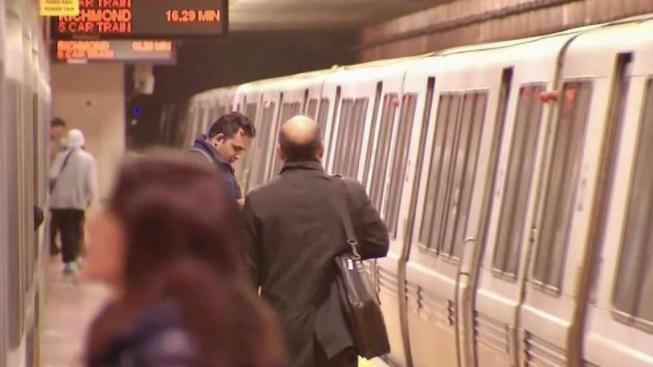 BART says it’s making big gains in its efforts to crack down on crime. On Tuesday, the transit agency announced arrests last year were up dramatically after a change in strategy. But have those arrests really made for a safer ride? BART says the increased visibility of officers at stations and in trains has resulted in a nearly 40 percent jump in arrests, but violent crime also has spiked, and the main reason why, officials say, is cellphones. "Their phone got stolen, or the biggest thing is that people say that it’s not safe on BART," rider Chitra French said. Another rider, Kareem Ervin, said he has seen a difference from a year ago. "Right now, I would have to say that I do feel safer now, riding BART," Ervin said. "Right now, I pay attention to overall safety." Overall, BART police Chief Carlos Rojas cites safety progress. "We’ve seen an increase in crime over the last three years, and there are some strategies that we have put in place, proactive enforcement, that we think has had an impact," Rojas said. 1,700 arrests in 2017, an increase of almost 40 percent. Fare evasion warnings and tickets up almost 90 percent. Electronic thefts up more than 50 percent. 24 percent jump in violent crime. "So in violent crime, people often think, oh, a gun, a knife, some type of weapon," Rojas said. "And on occasion, it is that way; it doesn’t happen very frequently on BART. But the majority of our robberies are what people call phone snatches." Riders are only too aware of that reality. "I’m not that surprised because a lot of people I notice they put their phones in their pockets or their purse, and they kind of leave their purse hanging out," rider Victoria Nguyen said. "And they don’t really hold on to it, or they don’t really hold on to their phone." The chief believes new video surveillance, roughly a year-and-half old, will cut down on phone thefts and lead to more arrests. But some riders are deploying their own strategies. "I actually carry one of these around," rider Hayden King said as he pulled out an old flip phone from his pocket. "So probably no one wants to steal this thing." Part of BART’s campaign isn’t just police but also public awareness, including audio advertisements on trains, warning riders to be aware of their surroundings. Another crime BART is trying to crack down on is fare evasion. The agency cited or warned 8,223 people who did not pay for tickets in 2017, 88 percent above the 4,382 in 2016. Rojas also said BART hired more new officers last year than in the previous five years, but it still amounts to only one officer for every two stations.